Occasionally, I travel to South Asia via Europe on business and find myself taking stop-overs and side-trips to have some fun. I had previously stopped in London at stayed at the Marriott Marble Arch, and was just really disappointed with the big hotel experience. I have nothing against Marriott, and I am a Silver Elite rewards member and generally prefer their hotels. 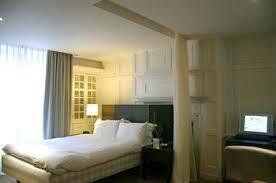 However, it was ridiculously expensive I figured new time I needed to try the boutique hotel scene. I searched around and the Nottingham Place Hotel caught my attention. The TripAdvisor ratings were good, but not all around excellent. However, I thought the hotel was absolutely perfect for me. The hotel is built right into the row houses, complete with narrow stairs, but it had charm. I got the cheapest room: it was about 140 GBP per night which was less than a third the price of the Marriott. The room had vaulted ceilings with a small sitting area and small desk area, a nice built-in cabinet, TV and kitchenette area. The bathroom was super small, with an enclosed shower, but this is typical for Europe. The location is simply fantastic, with easy walking distance access to Baker Street tube station and a very short cab ride from Paddington. It is walking distance to Regent Park and right around the corner from Marylebone High Street. It is about a 20 minute walk from Oxford St and SOHO, just right for walking off dinner. The hotel had character. The staff were helpful, although we are really talking about one person at a desk. The room was clean. The lobby had a nice sitting area with a fireplace, and we used it every day just to have tea and warm-up. There’s a hotel here? Oh yeah, so there is. The bottom line: I would stay there again, hands-down, and I recommend it for anyone who is looking for value, and a nice place to return-to after spending days exploring London.